Somedays, when you eat two breakfast, you just aren't excessively hungry for lunch. Or, when you have food all morning long, you still want lunch, but in a reduced amount. 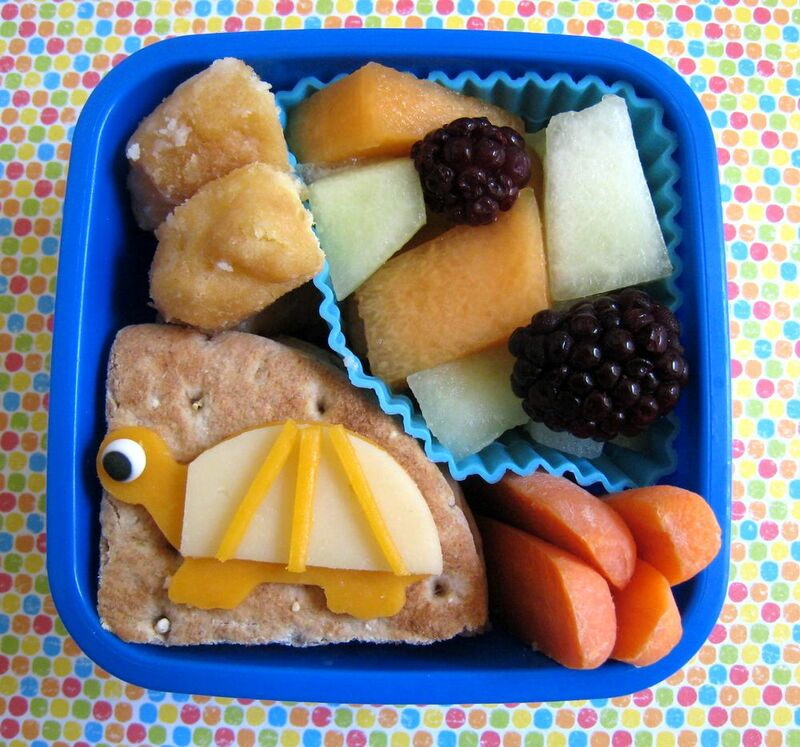 He had half a turkey & cheese sandwich on Nature's Own Multigrain Sandwich Thins, cut in half again to fit in the box, and decorated with a cute little cheese turtle. I was going to make a cheese dragon, but my dragon cookie cutter was too big. Next week! He has cantaloupe & honeydew, a few blackberries, one of the mini donuts from Kroger's bakery (cut in half to fit) and some baby carrots. Easy, quick & cute, perfect. I just love the turtle. And absolutely enough food for a five year old :-) I just love your blog! You've really inspired me to create more healthy food for my little one. She really appreciates them and eats a lot better!